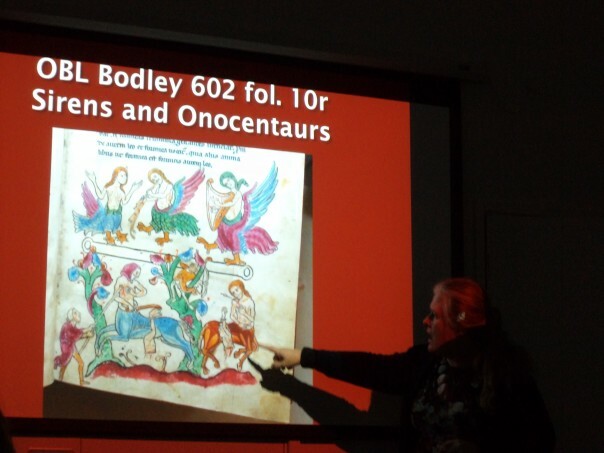 Keeping with the maritime theme, at least for part of this blog, I thought I would report on a presentation I went to last Saturday at the Beaney in Canterbury. 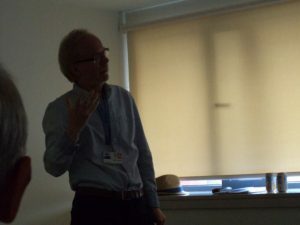 This was the second in a series of lectures and other events organised by the Kent History and Library Centre at Maidstone under the title ‘Life along the Kent Coast’ that works with an exhibition at Maidstone called ‘Bawleys, Barbels and Owlers’. What has this got to do with the Centre for Kent History and Heritage, I hear you cry. Well, one of the Centre’s events in 2018 will be a conference on ‘Maritime Kent through the Ages’, which it is envisaged will take place on a Saturday in June, perhaps with a keynote lecture on the Friday evening. More details on this soon because presently it is very much a ‘work in progress’. Another event, similarly at the planning stage, is the joint one-day conference between the Centre and the Kent History Federation [KHF]. This is due to take place on Saturday 12 May at Old Sessions, CCCU under the theme ‘Tudor and Stuart Canterbury’, thereby in some ways complementing the Canterbury Medieval Weekend 2018, which will take place between 6 and 8 April. Having had a fruitful meeting with the KHF executive committee on Monday, I now have more ideas to follow up and I hope to be able to reveal some of the details shortly. 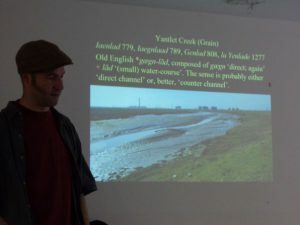 However to return to the presentation last Saturday, this was given by Dr Paul Cullen and some of you may remember Paul from his fascinating talks on Kentish place-names, especially field-names, and surnames as part of the joint conference between the Centre and the Kent Archaeological Society last year. This time Paul turned his attention to maritime or coastal names, and one of the things that surprised him was that for many the first record of the name was not until the 16th or 17th century, and actually quite a few do not pre-date the Victorians. Paul mused on this and the audience considered it too, one suggestion being that the influx of holiday makers in the 19th century meant there was a desire to make places along coast, and Thanet in particular, appear exotic, foreign and exciting, in other words just the sort of place it was good to visit. Paul provided lots of examples, many of which he illustrated using old postcards, indeed, these at time were his only source for the place-name itself. Among these modern place names, Paul discussed Cliftonville (St John the Baptist, Thanet), which a member of the audience from Margate believes initially was a reference to a local hotel. Also a late comer, as far as Paul can see, is Shakespeare Cliff, Dover, because, ok, it ‘must’ post-date the Bard but the earliest reference Paul can find is 1818. However, although he hasn’t revealed his sources, one researcher believes he has a much earlier use of this designation. I’ll leave it there and if I hear any more I’ll pass it on. Perhaps mistaken identity accounts for the name Swalecliffe, the ‘cliffe’ part being relatively straightforward, that is a slope over 45 degrees, albeit the vertical distance doesn’t appear to matter and a river bank seems to be sufficiently deep to be so designated. Rather it is the birds that may have been misidentified from medieval and even earlier times, or maybe in earlier time it was swallows rather than the modern day sand martins, because the first element comes from the Old English [OE] ‘swealwe’ a swallow. To take one more of Paul’s many examples of different maritime elements, Dungeness is rather interesting and brings in the southern Kent marshes. Again, some of the elements are pretty straightforward in that ‘nase’, ‘ness’ is OE for a nose, and, like the nose, Dungeness is a promontory. In fact, it is a moving promontory in that longshore drift is gradually moving the gravel spit eastwards, a move counteracted by man in an attempt to safeguard the site of the nuclear power station! So what about the first two elements of Dunge, which was until relatively recently ‘Denge’? One idea that has been put forward in ‘dyncge’, OE dung but Paul is rightly unhappy with this and thinks what we should be thinking about is ‘denn’, OE for a pasture region. For even though this is most frequently linked to woodland, especially but not exclusively the Weald, it is very much a Kentish element and not that far away is Shipesdenne (Lydd) which comes from pasture for sheep. Furthermore, we know from an Anglo-Saxon charter that there were holly trees growing on Dengemarsh and as higher land than the surrounding Romney and Walland Marshes, it is perfectly feasible that the holly offered fodder and the gravel refuge for grazing animals. I’ll skip the other idea that Paul also discounted: ‘denu’, OE for a steep sided valley, and instead turn to the final (middle) element of ‘gē’ for a region. This is found quite widely in east Kent but otherwise exceedingly rarely – Paul pointed to Surrey as one of the few ‘that got away’, and again it fits very nicely for the wooded region on the gravels of Dungeness. The audience was delighted with all these different elements, and, after Paul’s talk, several people came up afterwards to offer further ideas and/or information. If this is something you are interested in, there is a chapter of Paul’s place-name elements in Early Medieval Kent, 800-1220 (Boydell, 2016) and available through booksellers and the Kent History and Library Centre. This short interval also gave Paul a chance to catch his breath before he launched into the second half of the programme. 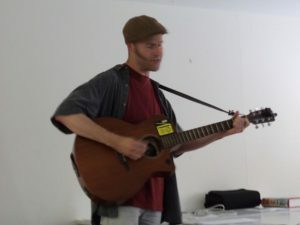 As a consummate folk singer, Paul accompanied himself on the guitar when he sang a selection of sea shanties and fo’c’sle songs, the former being unaccompanied ‘work’ songs and the latter entertainment on board ship when the hands were generally below deck, hence the name. These were great fun, although the topics covered could be gruesome, as in the case of a song about Andrew Rose, a young man in the British Navy who suffered terribly at the hands of Captain Rogers, although the captain got his comeuppance when the ship returned to Liverpool. The second of this sort covered a story from Kent and involved the murder of two sisters from Folkestone in 1856. 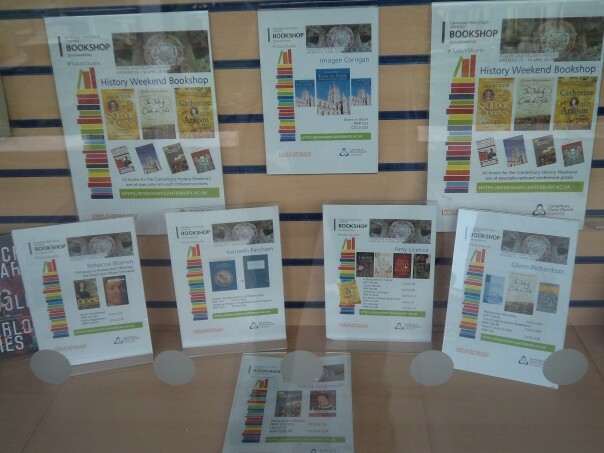 At this point, I’ll turn to another theme but if this sounds interesting and you would like to hear Paul he will be repeating the event on 30 September at 6.30pm at the Kent History and Library Centre, Maidstone. Another two events that will be taking place at Maidstone as part of this series are talks by lecturers at CCCU. Firstly, on 27 September Dr Martin Watts will give his reaction to the exhibition and build his lecture around the cabinet that most takes his fancy, and then on 11 October Professor Carolyn Oulton will discuss the seaside reading of Londoners who came down to the coastal resorts on Thanet, using authors from Dickens to Barbara Cartland. These talks will also begin at 6.30pm and if you want to attend, please book a ticket by calling 03000 41 64 38 or emailing archives@kent.gov.uk, tickets are £5 each. 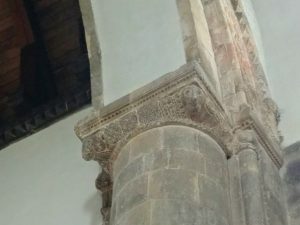 Chancel arch at St Margaret at Cliffe (Photo: Dr Philippa Semper). This seems a good place to finish. However, for those of you in Canterbury on Sunday 3 September and wish to learn about the city’s history from the late Roman period through to the time of St Augustine, you will be most welcome at the open lecture at 7.30pm (prior booking not required), as part of the 68th International Sachsensymposion. The organising committee includes Dr Andy Seaman from CCCU amongst others, although this particular lecture will be held in the Colyer Fergusson Lecture Theatre at the University of Kent. Professor Paul Bennett (Director of Canterbury Archaeological Trust) will be speaking under the title ‘Canterbury in Transition’ – do come along.